The Netherland’s construction industry is expected to reach a value of US$144.5 billion in 2021 in real terms, measured at constant 2010 US dollar exchange rates, according to Timetric’s Construction Intelligence Center (CIC). According to the report, construction sector growth over the forecast period to 2021 will be supported by investments across infrastructure construction, healthcare, the manufacturing industry, educational facilities and housing projects continuing to drive growth. Under the National Reform Program (NRP) 2016, the government plans to spend EUR3.5 billion (US$3.9 billion) on renewable energy infrastructure by 2020.Growth will also be driven by the country’s Operational Program (OP) 2014–2020, under which the government aims to develop the country’s infrastructure. To improve trade and manufacturing competitiveness, and cope with the rising population, the government is focusing more on infrastructure development, which will ultimately lead to all-round development and modernization of the country’s infrastructure. Under the OP 2014–2020, the government plans to invest EUR1.0 billion (US$1.1 billion) to develop the educational system, adequate infrastructure for manufacturing companies and energy infrastructure by 2020. Through this, it plans to increase employment in the country. In real terms, the Netherland’s construction industry is expected to register a compound annual growth rate (CAGR) of 3.6%, an improvement over the 2.5% CAGR registered over the review period (2012-2016). 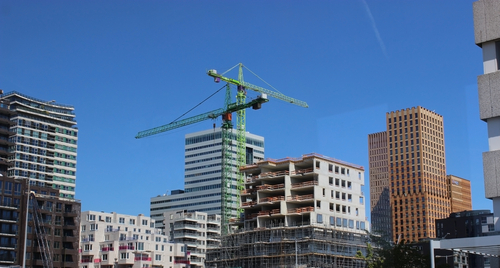 Residential construction was the largest market in the Dutch construction industry during the review period, accounting for 48.9% of its total value in 2016. The market is expected to retain its position over the forecast period, constituting a 52.5% share of the industry’s total value in 2021. “The market will be supported by urbanization, population growth, affordable housing projects, and positive developments in regional economic conditions. Additionally, the low housing interest rate is expected to attract investment in residential properties, which in turn will drive the growth of the market over the forecast period,” comments Danny Richards, Lead Economist at Timetric's CIC. Accounting for 20.3% of the construction industry’s total value in 2016, infrastructure construction was the second-largest market in the Dutch construction industry during the review period. The market is expected to remain the second-largest over the forecast period, supported by government and private sector investments in transport infrastructure. With an investment of EUR4.0 billion (US$5.6 billion), the government is planning to increase the capacity of highways under the Schiphol-Amsterdam-Almere program by 2020. In addition, the government plans to invest EUR2.5 billion (US$2.8 billion) for the expansion and renovation of the country’s railway lines by 2020. This information is taken from the Timetric report: ‘Construction in the Netherlands- Key Trends and Opportunities to 2021’.